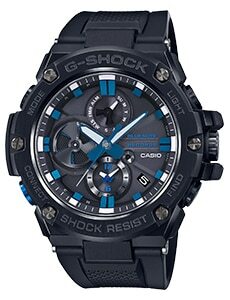 Tokyo, February 21, 2019 — Casio Computer Co., Ltd. announced today the release of a new collaboration model bringing together the G-SHOCK brand of shock-resistant watches and the storied jazz label Blue Note Records. 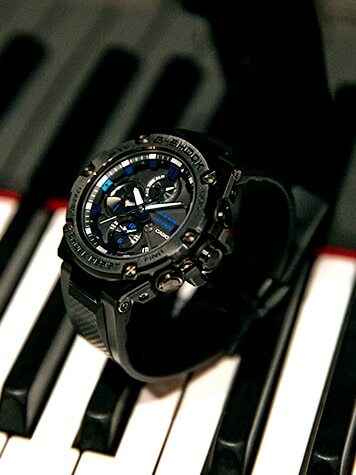 The new GST-B100BNR features the symbolic black G-SHOCK brand color throughout for a sophisticated, cool look, highlighted with the blue brand color of Blue Note Records. The design evokes the worldviews of both G-SHOCK and Blue Note Records, which have continually sought out challenges in their respective domains: watches and jazz. 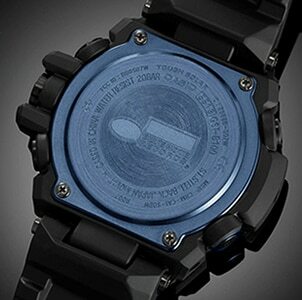 The collaboration model is based on the GST-B100 in the G-STEEL series of watches that combine different materials. The new GST-B100BNR connects to a smartphone using Bluetooth® to keep accurate time and easily change settings such as world time and alarms from the app. The case back is designed in the image of a vinyl record, with the Blue Note Records logo etched in the center. 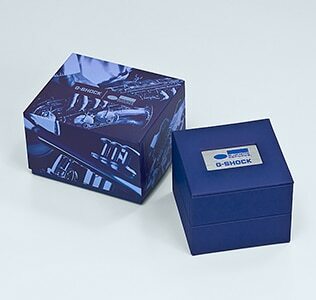 The special packaging incorporates a metal plate inscribed with the G-SHOCK and Blue Note Records logos, highlighting a special model that lives up to this collaboration.